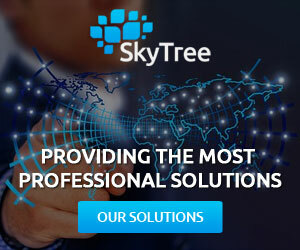 Sky Tree is known for their products and their quality software that are being sold to any client that wishes to optimize the overall performance of their business. But we are not only known for our products since here in Sky Tree we offer services and solutions to any interested client or business. 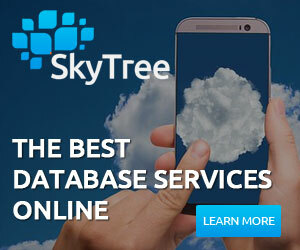 In Sky Tree our main service is a complete database service that focuses on being stable and steady. Since we are a reliable business that is known for their professionalism with selling software, our databases solutions are even more professional, since we count with a highly trained team that focuses on providing the best service available online. Services such as storage assessment are a key feature in our database services, since we are always trying to provide the most complete service. We also try to adjust an installation and set-up on each of our systems and databases to business that doesn’t know how to handle this type of services. We can guide you step by step if you prefer, as well to give you a 24/7 online support to any question that you might have about our products and services, most important. We try to always give attention to our feedback and what do our clients think about our database services. So you are more than welcome to tell us what you think by putting in contact with us. We give an optimization in the performance of your business with our services. And if you desire to contact our database services, don’t’ waste any time and call us using our contact information.